Hello everyone! I hope this post finds you all well. I struggled to think of a title to this post. There are several bloggers who do a Wordless Wednesday but I always have plenty to say. I have also done a Wednesday Wanderings but I really didn’t go anywhere with my camera but on the farm. Then another day past and it is, or was, Thanksgiving day. I did miss another chance for a great photo and video a few days ago… A really neat whirlwind of leaves in the south end of the back pasture. It lasted for quite a while, too. GEEZ! I did manage to get a photo of our resident villain on Tuesday. The Red-Tailed Hawk has been visiting near where the hay is stored. I have seen it several times but never had the camera. It flew behind a tree by the pond probably thinking I couldn’t see it… No doubt it is hunting for mice or voles, but it doesn’t hesitate to nab an unsuspecting small bird. I still haven’t finished cleaning out the Martin House. The House Sparrows moved in right after the Martins left and they have almost every nest stuffed full! They spend the day in search of seeds and insects but they are usually at the house in the morning and by early evening. I did finish cutting the Cannas Wednesday afternoon and the bed is all mulched for winter now. I am sure glad I don’t have to dig their rhizomes and bring them inside for the winter. I am thinking about contacting my good friend Walley in Mississippi to see if he still has his yellow Cannas. He gave me a start before when I lived in Mississippi but I accidentally left them behind when I moved back here. Maybe he could send a few my way. The cats always enjoy sleeping on the pile of leaves especially when it is cold and sunny. This cat has been known to sleep in some very strange places, though. He even likes to get in small boxes and flower pots just barely big enough to curl up in. A few of the cows were already waiting at the gate. I think they heard me singing or talking to myself. Sometimes, not always usually lately (which means maybe less than 40% of the time but not necessarily) they are at the gate. Sometimes, like Tuesday, a few were at the gate but walked away when I arrived while others were coming toward the gate. The calves are getting the hang of it and walk toward the gate when they hear me or see me approach. One thing I have learned is that cows are not the most patient of critters. Tuesday morning when they were waiting at the gate to go up the lane, I thought I would scratch a few of them behind the ears. The first three really liked it, but the fourth said, “OPEN THE GATE ALREADY!” Even though they don’t have hands, so they can’t make a fist, she has learned that is what the top of her head is for. She is one of the older cows and is pretty much intolerant when it comes to friendliness if she is anxious. July, however, is the opposite. I think she would stand and let you pet and scratch her for an hour. The calves are always funny. When I open the back gate the cows, if they are at the gate, come right into the lane. If I am still standing in the lane the calves are a little hesitant to walk past me. They will stand there at the opening and talk it over first. Wednesday evening, after much deliberation, they all managed to build up the courage to go past me but one. It was the first born heifer with the completely white face. She walked away from the gate and for a minute I thought she may jump the fence. I walked into the pasture toward the Persimmon tree and she finally went in. I had to check to see if there were any Persimmons left and I found only two… So, I guess that’s it for them until next fall. I took a few plant photos Wednesday evening then a few more this morning. The camera battery went dead and I had to recharge before I could finish. The newest members of the cactus collection are in the kitchen windowsill. I plan to make an insert with two shelves. The Kalanchoe delagoensis plantlets are still doing OK. They have grown a little but probably won’t do much during the winter. Just as long as I can keep them alive until spring… I mist them about once a week. When I brought the cactus inside from the back porch, I just carried their table in and put it in front of the sliding door. This is not an ideal spot because they don’t receive much sun so it was just a temporary solution. Several of these were in the kitchen windowsill for two winters but they are now in larger pots. The new shelf I made for the south window is working out very well. I used boards from the loft in the barn. I made it similar to the one I made in Mississippi for the kitchen window (out of old Cypress boards). The shelves are adjustable so I could possibly lower the top two or even remove the bottom shelf. That way I could add another shelf. Last winter I just had a table here which was high enough to put some of the bigger succulents under it. The bottom of the window is only 10 1/2″ from the floor so they received plenty of sun. While cactus, for the most part, isn’t that particular about being in full sun, especially over the winter, a lot of succulents will stretch and get weird if they don’t have enough. That’s why I have to avoid growing Echeveria and a few others I have grown in the past. For the most part, all the succulents are on this shelf plus a few cacti. They are all doing well but I noticed some brown scale on the Peperomia obtusifolia. The Cotyledon ‘Silver Storm’ seems to be making progress with its spraying program. So far, the new leaves are scale-free. There are a few succulents that are very prone to brown scale which I have learned to avoid. Some get it a little and are easily plucked off. I keep an eye on the Crassula ovata ‘Lady Fingers’ or ‘Gollum’. I say “or” because I bought this plant unlabeled and it looked like a ‘Lady Fingers’ at the time (I had one before). It has grown quite a lot and now it’s leaves look like ‘Gollum’. Anyway, I noticed it also has a few scale as well but they can be removed without spraying. If you have scale and need to spray, make sure you use something that is ORMI certified and does not smell like alcohol. Neem oil may work but I haven’t tried it. I do have a product with Neem oil as an ingredient which is also certified organic that would also work. Unfortunately, the brown scale doesn’t actually fall off even when they may be dead. You have to remove them by hand or remove the leaf. You could remove the infested leaves, but sometimes that isn’t possible. The Cotyledon is really bad and even the stems have scale. I have thought about throwing it away but I couldn’t see myself doing that. I tried neglecting it this past summer, thinking it might die on its own. Well, it seemed it seemed like it and thrived… So, I sprayed. The Huernia schneideriana is doing very well and there are new offsets coming up. The Aloe juvenna and Kalanchoe orgyalis are enjoying the winter on the bottom shelf. Aloe juvenna are very easy to grow but need a good amount of light or their leaves will stretch. The Kalanchoe orgyalis keeps growing taller and may be touching the bottom of the next shelf before long. Umm… Almost every plant on this table should be in the basement. Last year the Oxalis went dormant before I even brought the plants inside for the winter but this year they have not gone dormant yet. I guess I am going to have to take them to the basement anyway. The Begonias can also be in the basement but they look so good where I can mingle with them once in a while. The Begonias on the table have hardly lost any leaves since I brought them inside. They have pretty much been on the dining room table except for a few days last month. I put them on the table in the front bedroom Tuesday evening after I gave them water. The Tradescantia sillamontana are waiting to go to the basement so they can sleep for the winter. I will cut their stems off once the plants go dormant and they will come up after a few months. They have done very well all summer and now it is time for a rest. They would stay awake upstairs all winter but they get really out of shape. The Tradescantia zebrina will be staying upstairs for now. It is my first winter with them so I am not sure how they will do either upstairs or down in the basement. I know they will do OK upstairs but I am not sure about a stretching issue. If they go dormant in the basement… Will they come back up or will they be dead. Maybe I should take cuttings and experiment. 🙂 How else will I know? Well, the table in the other bedroom is experimental. I had the Callisia fragrans and Tradescantia sillamontana on this chest but grew tired of that. The Tradescantia needs to be in the basement so they can go dormant. Tuesday evening I moved the Callisia and Tradescantia sillamontana and put a few other plants here. This spot only gets good sun in the afternoon so a lot of plants won’t do well here over the winter. I kept the smaller Alocasia upstairs because they don’t do well in the basement. When I say smaller, I mean the ones that are under 12″ tall. Somehow, when I was moving plant s inside, one of the bigger Alocasia ‘Portora’ managed to sneak in the dining room. Then, when I moved the Tradescantia sillamontana out of the bedroom, the Alocasia ‘Portora’ somehow snuck into the bedroom… Of course, I could bring up a couple of other Alocasia to keep it company. How about the biggest ‘Calidora’? It will probably touch the ceiling even with its pot on the floor. As I mentioned earlier, the smallest of the Amorphophallus finally went dormant a few days ago. I was beginning to wonder if it was going to stay green all winter. I moved the Tradescantia ‘Pale Puma’ in this bedroom on Tuesday evening even though it may well be moved to the basement. It just depends on how well it grows here. The one I had before went dormant in the basement and came back up in the spring with no problem. On July 12 when I potted all the offsets from the original plant, a couple were very small and I thought I had more than enough in pots. So, I threw these two smaller offsets in the yard. When I was mowing a few days later I picked them up and put them on the back porch. They have survived with NO soil and no additional water since July 12… Now you can turn me into the plant humane society for neglect. I am experimenting, but I think I am about to give in. Now, I better quit. Until next time, take care, be safe, be well, stay positive… You know the drill. Just be good and GET DIRTY! Have you done a count as to how many plants you have indoors this year? I don’t mind oxalis in the garden either. I also don’t mind having Cordyalis lutea in the garden and most people hate it. It usually pops up where nothing else will grow so I let it go. It is so pretty when it blooms and the gray green of the leaves is a pretty color to have in the garden. The hawk you have pictured is a Red-shouldered Hawk. A red-tailed hawk wouldn’t have the red barring all the way down it’s belly. Red tails have a white belly with just a belly band across it. You can also see the red on the shoulder of this adult. I don’t blame you for running off the House Sparrows. They can nest most anyplace else while the poor Martins cannot. House sparrows make such interesting nests. When they aren’t in a bird house you can see how they weave their nest. They are weavers after all and not sparrows. I often wonder why they call them House sparrows? Possibly because they hang out around houses a lot. Such lively birds. I think your grammar is just fine. Typos occur on almost every post one reads…and writes. Hello Lisa! How many plants do I have inside? Hmmm… Let me count them and I will tell you… OK, I counted 132 pots. That doesn’t include the pots with dormant Amorphophallus (except for the one with the Oxalis). There are pots with multiple plants which I only counted as one. I had more in Mississippi so I am slacking somewhat. Of course, the mansion was around 9,000 square feet with five sunrooms. I haven’t seen the Corydalis lutea here although they do grow here. Looks like a pretty neat plant (I checked them out online). I think you are right about the Hawk and I thought it was a bit red. I checked online and the map says the Red-Shouldered Hawk’s range is south and east of here… But, doesn’t always mean anything. This bird certainly isn’t new here because I have seen it over the years this time of the year, and I think there were two earlier. The Red-Tailed Hawk is mostly in the back of the farm and I have seen it there multiple times. Thanks for the correction and I will make a note of it on the post. Good point about the sparrows. They could get in the barn and nest but they don’t. Sometimes I have to run them out of the Bluebird houses as well. There are several species of migrating sparrows that spend the winter here but I haven’t noticed them yet. Thanks for the comment and the correction about the hawk. Your house plant collection is impressive. I wish I had the patience to keep so many. I love the color, texture and surprises that indoor plants bring to the winter months. Yet I don’t have the light that most like. They wither and die. I have finally after __ years figured out I should just admire them in other peoples homes. You will have to bundle up to check on the livestock. Be careful out there. Hello Lisa! There are plants that do well in darker conditions, inside and out. I don’t know if you can find them, but supposedly Aspidistra (Cast iron Plant) does well in dark areas inside. I had them growing outside in Mississippi and when I did research on them I found out they can be grown as a houseplant as well. There are many cultivars but some are pretty pricey… Plants do bring a lot of good atmosphere inside the home over the winter but to many can take a lot of time and it is so disappointing when they die when they don’t have the right conditions. Practice and experimenting… Thanks for the comment! Do you have room to move around in the house now that the plants are indoors? Do you notice insect visitors have been brought in, too? My ‘handful’ of outdoor plants are finished. I cleared most of the little garden of dead tomato plants. The milkweed stalks are gone. Indoors I need to repot some violets and an ivy. Hello Jim! I still have plenty of room to move around and, yes, a few critters do make it inside with them. Pillbugs and ants usually, but this year a hibernating toad also made it inside. I found it the dining room hopping toward the door. Pillbugs and ants crawl inside the holes in the bottom of plants. When I was bringing the plants inside and repotted some of the cactus, I saw there were a few with ants inside. I removed them the best I could. The Aloe ‘Flow’ had ants but they seemed to have left (I have no idea where they went). I have had them move from one pot to another during watering over the winter. Eggs and all, they just pick up and move. I also noticed the pot of Mammillaria elongata with ants when I was taking photos. GEEZ! As long as they stay in the pots, it is OK. They are not the same ants that crawl on the kitchen cabinet which are becoming a pain in the neck. First year for that. 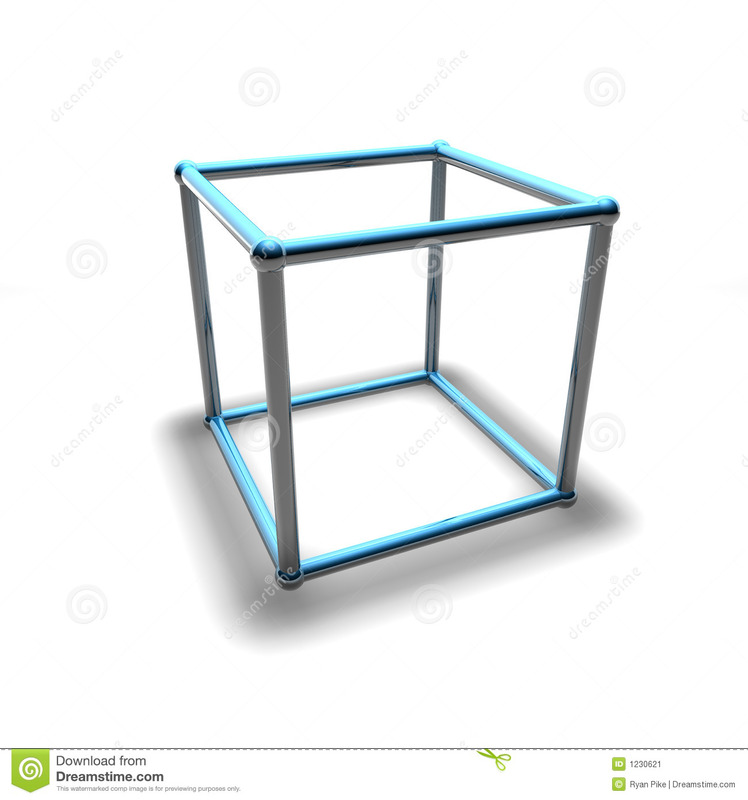 So, the wireframe box is just a frame? The cats actually get in it? They also love paper grocery bags. We had a cat when I was a kid that loved them. Mom would always throw one down for the cat when we came home from grocery shopping. I am not particularly an African Violet Fan, but I do like Ivy. Mom was the African Violet grower and she had A LOT! You sure do cover a lot of ground! Awesome that there’s so much stuff going on around you, and you’re able to notice it all. The hawks, the cats, the cattle, so many people don’t even notice the half of it and then wonder why things are so dull. I should get outside today even though it’s cold here this morning. Who knows what’s out there to find! Your houseplant collection is pretty impressive, and even more impressive that you’ve found names for them. Many of mine have nothing but a made up name that I give them, and then often they don’t hang around long enough for me to worry about it. I do have a few of the same trandescantias though. For as rough as it gets here during the overwintering stage there always seems to be a tiny bit left that comes back in the spring. Let me know if you want me to send you a yellow leaved version, I think its pretty cool. Hello Bittster! There is always something going on in nature whether we notice or not. 🙂 I have seen a lot of things here without having the camera. When I have the camera, not so much. I have seen things you wouldn’t believe without a photo. What is worse is when I photograph something that isn’t there after I upload or it is too blurry. Most of the houseplants are outside during the summer, so I call them in and/or out plants. The three plants that are always inside I barely ever mention, actually there are four. The Philodendron hederaceum, the two Pothos (Epipremnum aureum), and the Peace Lily (Spathiphyllum) which all came from funerals. The Philodendron and Pothos are OK, but the Peace Lily and I have issues. I really like Tradescantia and I would appreciate a yellow-leaved version. Thanks for the comment! Nice that the cows and calves each have their individual personalities. Hello Jim! Oh, they do for sure! The cows look so much alike the only way I can tell them apart is by their personality. Thanks for the comment! Hi Rooster – I love the shelf of plants in the window it looks fab -or as you would say awesome! I really want to do that in one of my windows but they are plastic so I may get a cast iron/ wire shelf unit to put on the window sill for the same effect. Might work? Thankyou for photographing all the plants it’s great to see- my favourites are the beautiful purple oxalis papillonacea and the kalanchoe – which looks like a cheeky one i’d like to find myself. As you know I like kalanchoes! Now in the basement obviously it is dark but is it cool too? Do they need just dark to go to sleep or cold as well. . … I’m trying to replicate the conditions somewhere as I don’t have a basement! Hello Debbie! I am glad you like the shelf but it is not in the window. It is in front of the window. I want to make one for the kitchen windowsill that will fit “in” the window. I hope you can find a shelf for your window because you can have a lot more plants. After all, “happiness is more plants”. 🙂 It would be very hard for me to choose my favorite plants although there are a few that I really like and a few not so much. But, all are life, and the more time I spend with plants that I don’t like as much, I began to see they have a few interesting characteristics. The Oxalis with the big purple leaves is NICE for sure. The Kalanchoe orgyalis with the fuzzy leaves is really neat. I do need to find another Kalanchoe beharensis, but not particularly the cultivar called ‘Fang’. The one I left behind in Mississippi was AWESOME! The basement is fairly dark, but the plants are where there are two windows that let light in. It is pretty much 65° F year around in the basement which is good for plants you want to rest over the winter. For the most part, cooler conditions and lower light will trigger a rest period as does shorter day length. Most pants will “stretch” in less light and warm conditions. The secret is cooler temps with much less water when light is less than adequate. So, I guess it is a combination of things. I rarely water the plants in the basement unless it is getting close to time for them to wake up. Of course, the bulbs remain dry until they get put in the ground. It just takes a bit of experimenting… Cactus don’t seem so particular over the winter and would probably even do well in the basement. Some succulents survive but would have to be re-rooted or leaf cuttings taken in the spring.